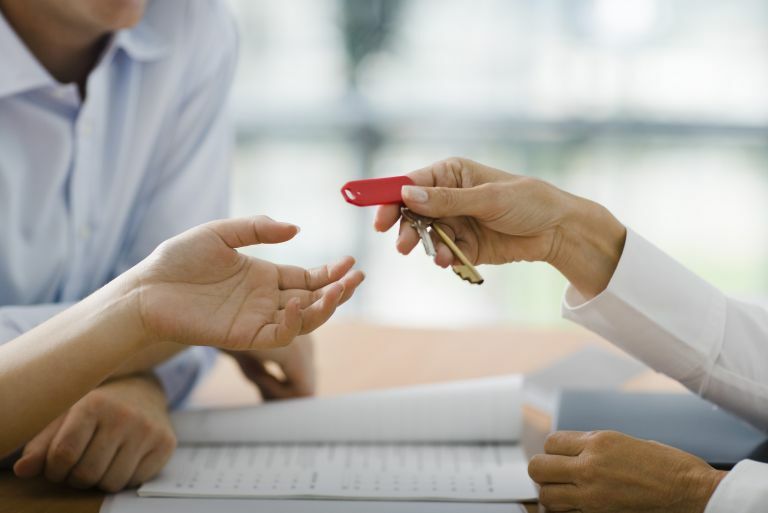 Asking your potential new landlord a few key questions can avert many future problems when renting. From checking notice periods to nailing who will be maintaining the garden, from finding out whether you can sub-let or work from your new rental home, these are the vital questions to put to your landlord before you sign on the dotted line. Find out more about getting the best out of renting on our dedicated hub page. 1.When and how should I pay the rent? The first month’s rent is generally payable before you move in, then monthly on the anniversary of the date the tenancy started. This can be done via bank transfer, direct debit or standing order. Insist on a receipt if the landlord’s old school and asks for the initial payment by cheque, and don’t hand over cash. 2. How long is the notice period, and how do I give this notice when I want to move out? Most tenancy agreements are set for a fixed term of at least a year, with a notice period of one or two months before the end of the contract. Unless there’s a break clause – usually after six months - neither party can terminate the agreement early. If a new contract isn’t issued at the end of the fixed term, it will convert to a rolling periodic tenancy and notice can be given at any time. This should be served in writing, either by post or handed to the landlord in person. 3. Which bills will I be responsible for? Although heating bills are occasionally included in the rent – for example in a modern, purpose-built flat where they’re covered by the service charge – you’ll almost certainly to have to pay for gas, electricity, water, broadband, council tax and a TV licence. Ask to see the last year’s utility bills, and whether you’re allowed to change the supplier, which could save you money. Find out how to switch energy suppliers and how to reduce home energy costs in our guides. This can be a deal-breaker. It’s vital to be frank, as sneaking a pet in without permission could be a breach of contract. Meeting your cat or dog might help to sway your landlord, as will providing details of recent vaccinations and flea treatments. Offer to pay a higher deposit to cover any damage by your pet, and to get the property professionally cleaned at the end of your tenancy if this isn’t already included in the agreement. Many landlords won’t allow you to paint or otherwise decorate rooms, or to fix anything other than pictures to the walls without consent. However they might be more flexible if you offer to return walls to their original state by filling any holes you’ve made and repainting when you leave. The contract should contain a clause stipulating exactly what – if any – alternations you can make, materials to be used – for example paint, not wallpaper - and if you can put up shelving or even install a satellite dish outside. Try these easy steps to refresh your rented home in a weekend. If you have a job that involves long periods away from home, subletting so that someone else takes care of the rent makes perfect sense. A landlord may not share this point of view, so ask the question and explain your circumstances, and you may be able to get a clause inserted so that subletting is allowed with consent. 7. What contents are included? It’s not always clear exactly what’s included in furnished or unfurnished properties. Ask for an inventory in advance, and if the place is furnished and currently let, get clarification on whether items you’ve seen but aren’t mentioned come with the property or belong to the tenants. When unfurnished, the landlord should still provide flooring, curtains or blinds and a cooker and possibly a fridge and washing machine. 8. Is any work going to be carried out between now and the start of the new tenancy? While the idea of living in a pad with freshly-painted walls or a new kitchen or bathroom is obviously very appealing, discovering that it’s still a building site on moving-in day isn’t. So find out if any upgrades are planned and what the time-frame is. 9. Can I work from home? This depends on the nature of the business. Running an enterprise that involves customers, clients or deliveries regularly coming to your home, increasing wear and tear, and causing a nuisance to neighbours won’t be allowed, whereas a landlord can’t reasonably refuse permission to a sole trader working on a laptop, such as a freelance writer or graphic designer. 10. Who’s responsible for maintaining the garden? Outside space is a real bonus but can become a curse if you’re responsible for its upkeep and don’t have green fingers, so it might be easier for the landlord to hire a gardener and add the cost to the rent.